Lila Jarvis Rogers, 90, of Mesa, Arizona passed away peacefully on Monday, July 2, 2018. Lila was born November 2, 1927 in St. Johns, Apache County, AZ to George Jarvis and Frances Burgess Jarvis. She was married to Waldo Rogers in 1947 and was a lifelong member of the LDS Church. 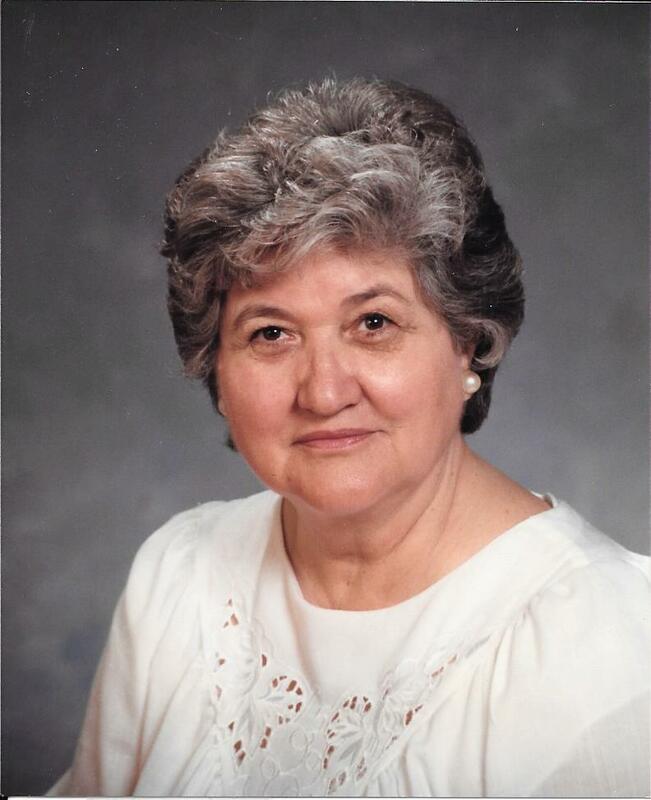 Lila served faithfully in many callings; including, Primary President, Mutual President, and Nursery Leader. Lila is survived by her seven daughters, Jackie (Craig) Christensen, Vicki (Court) Hilton, Georgia, Debbie (Ron) Van Dusen, Audrey (Vance) Thomas, Julie Patterson, and Susan (Jim) Seiferth. She also leaves behind 16 grandchildren, 26 great-grandchildren, and one great-great grandchild. Lila loved being a mother and grandmother. She is preceded in death by her husband, Waldo, and her siblings, Eldred Jarvis, Norma Crosby, Catherine Brimhall, and Thomas Jarvis. A visitation will be held Friday, July 6, 2018 from 6:00 to 8:00pm at Bunker’s Garden Chapel, 33 N Centennial Way, Mesa, AZ 85201. Funeral services will be held the next day, Saturday, July 7, 2018 at 11:00am at the LDS Mesa Central Stake Center, 925 N Harris Dr, Mesa, AZ 85203, with another visitation one hour prior to the service. She will be laid to rest at the City of Mesa Cemetery, 1212 N Center St, Mesa, AZ 85201. The family wishes to thank Santé Hospice for their kindness and care. So very sorry to hear about your mother. She was such a sweetheart and so kind. You are so blessed to have had her here on earth with you for so long. Hugs to you all. How we will all miss her! Her sense of humor, her exactness in living the gospel, her love for her family-especially her beautiful daughters, her way of making you feel welcome whenever you came to her door, and the list goes on. Our love to you all. Our family visits to see Lila were always such a treat because of her wit and her straightforward wisdom. I felt peaceful, loved, and accepted in her presence. Her life was such an example for good in this world! Sending more hugs to Jackie, Vickie, Georgia, Debbie, Julie, Audrey, and Susie and their families, who reflected Lila’s shining influence on Saturday.